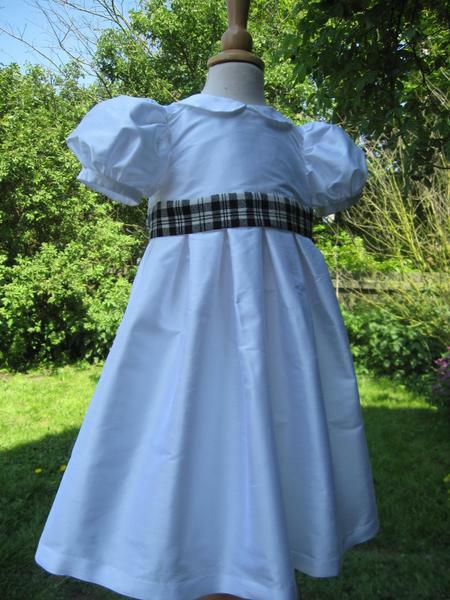 This little number has been created for those wishing to celebrate their Scottish heritage. 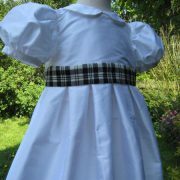 A simple silk dupion dress with short puff sleeves has all the beauty focussed on the large tartan belt and bow that decorates the waist. 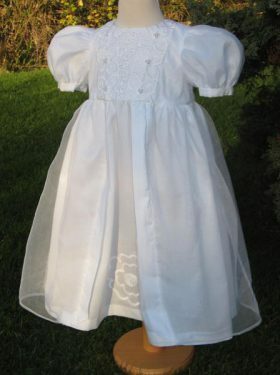 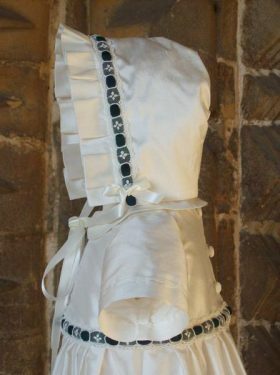 This dress is available in white or ivory silk dupion. 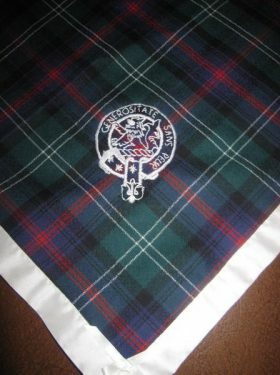 It can be decorated with the tartan of your choice. 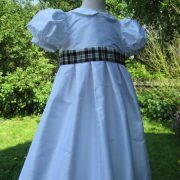 The belt is made from a wonderfully soft 8oz pure wool tartan fabric. 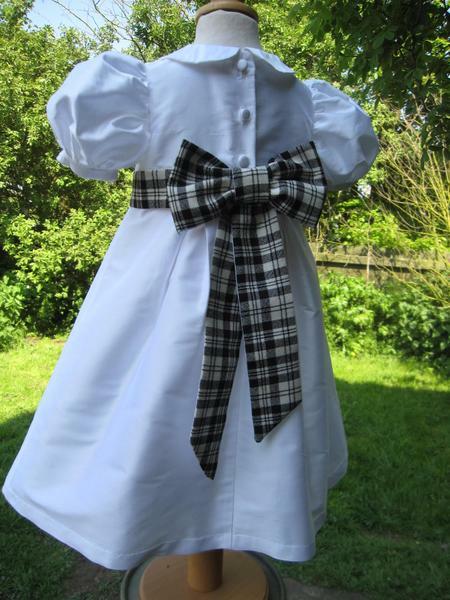 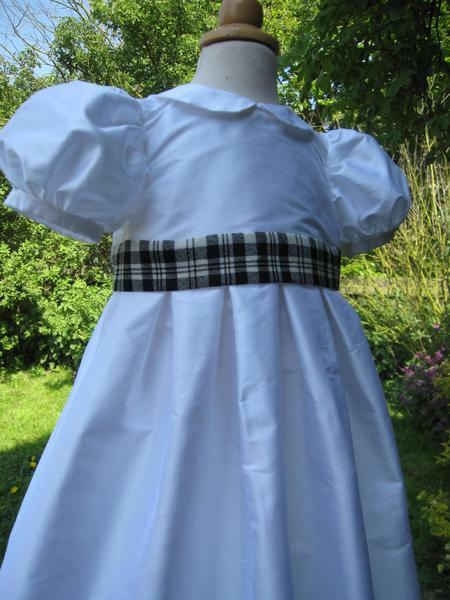 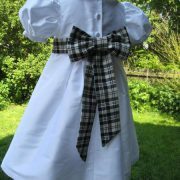 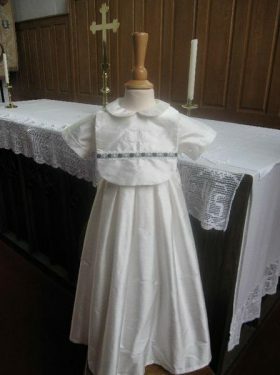 All Scarlett Dress accessories are made to match the christening dress using the same silk fabric and matching tartan trim.